Welcome back, today it's a bit foggy here but the temperature is suppose to reach about 12C. I'm hoping that will be a nice temp. to bring in the weekend, so glad that spring is finally here and once all the snow it completely gone it will be even better. This winter has been a long one for me, so to see more sunshine and to get outside more will be fantastic! 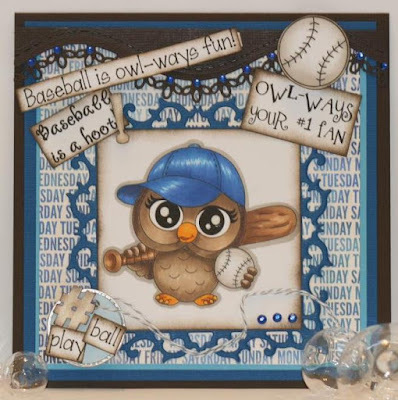 With the warm weather comes outdoor sports like baseball, so in honor of that I thought this adorable little owl was a fitting card to post today. I love the Toronto blue jays so I decided to do him in their color of blue. This adorable image is called Owl-Ways Baseball and can be found on the Miss Daisy Stamp website. 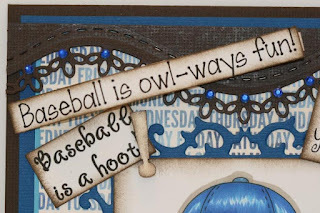 It also comes with a whole bunch of sentiments which are so cute to put on a card, I couldn't decide which one to use so I put a bunch on it. I also found these little wooden embellishments that have hash tags, exclamation marks and a bunch of others so I includes a couple on this card. 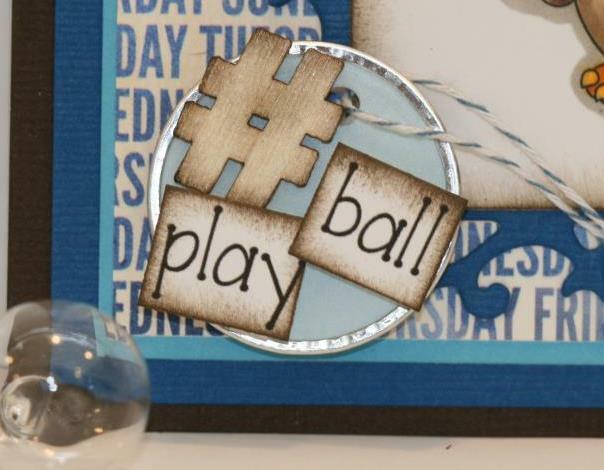 Everyone seems to be using Instagram and snap chat so I added a # play ball on the bottom corner of this card. A few of the sentiments included with this digital image. The baseball is in the file as well I popped it up for a bit of dimension. I love this part of my card with the circular tag and the ink distressed hash tag. 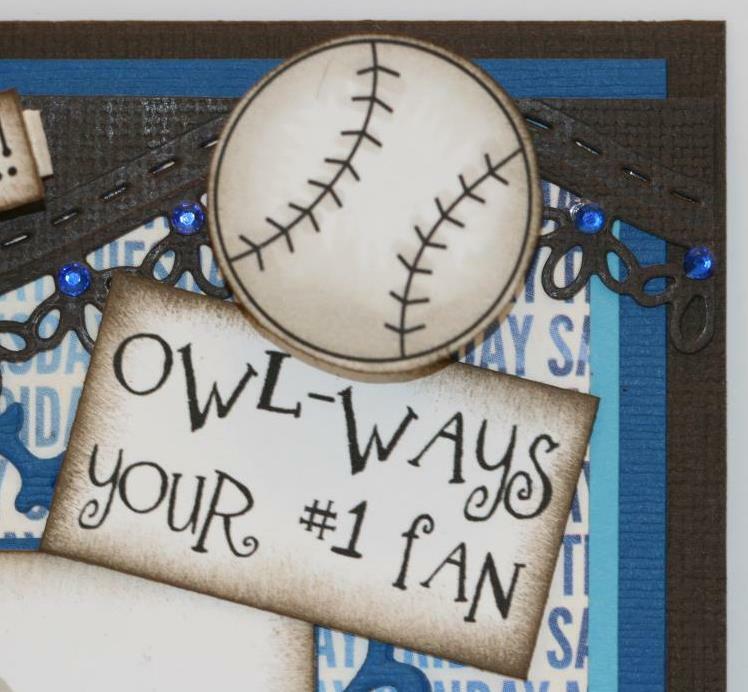 I hope that this card has given you a little bit of inspiration to create or go to a ball game lol. I hope to see you back, so I can so you another creation.